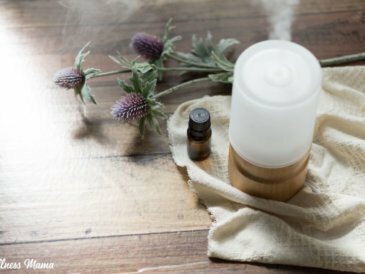 Hopefully cold and flu won’t strike at your home this year, but in case it does, this natural vapor rub is a good natural remedy to have around. 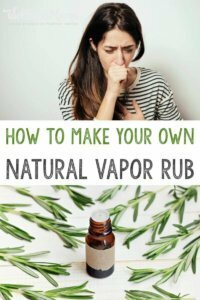 I used to keep regular Vicks Vapor Rub and the baby version on hand for times when the seasonal cold would hit until I realized that it had PETROLEUM in it … yuck! 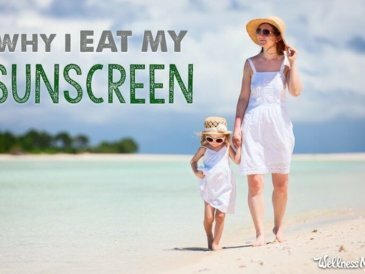 In the name of not consuming or slathering my children’s skin with anything that is more beneficial to a car engine, I’ve been making this really easy homemade version ever since. Don’t let the ingredient list deter you from making this recipe, either. 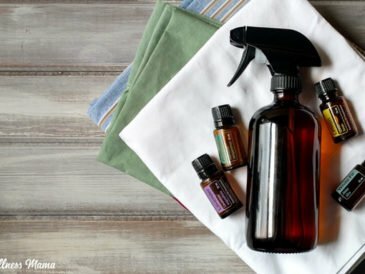 If you don’t have the necessary ingredients on hand or don’t want to take the time to make this recipe, mixing the essential oils with coconut oil works almost as well! 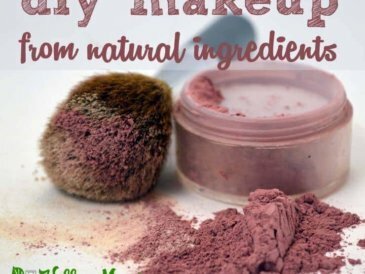 Thankfully, since I started making DIY natural products some great companies have come out with more and more natural store-bought versions. (Options are great!) 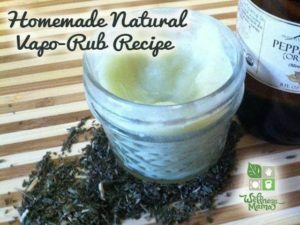 I found a pre-made natural vapor rub in case you don’t have the ingredients on hand and there is even a formula specifically for babies and children. I haven’t found it in a store near me yet, but if you have a Whole Foods or a natural health store nearby you might be in luck! Caution: If making this for babies or children under age six, make sure to use essential oils that are safe for these ages. I take safe use of essential oils very seriously, and err on the side of caution. I love this kid-safe line of essential oils because it takes a lot of the guesswork out of choosing the correct oils. 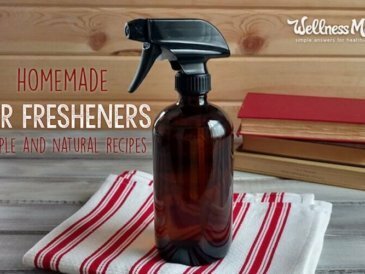 The Sniffle Stopper is most similar to my blend in this recipe. 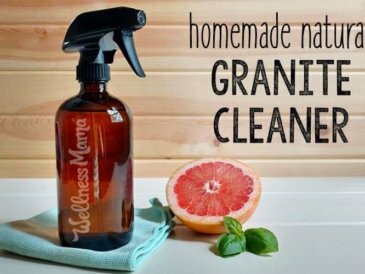 I make a gentler kid-safe version of this recipe by using just 4 drops of the eucalyptus and fir oils and omitting the rest. Stir until well mixed and pour into some type of container with a lid to store. Small tins work well, as do little jars. I also always make a few in empty lip chap sticks to keep in my purse or to use on baby feet. Use as needed to help reduce coughing and congestion. 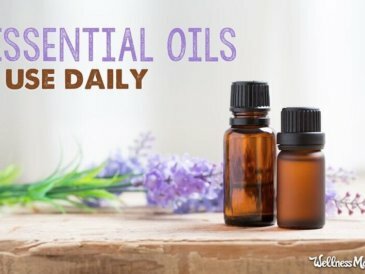 Many essential oils, including these, are not considered safe for babies or small children. Make sure to dilute for babies and children and use as little as is needed. Always check with a doctor or healthcare provider about using herbs or essential oils on young children. You can also make this recipe with herbs instead of essential oils by infusing the oil with 1 tablespoon of each of the herbs in a double boiler over medium heat for 2 hours. What are your tried and true remedies for beating illnesses? 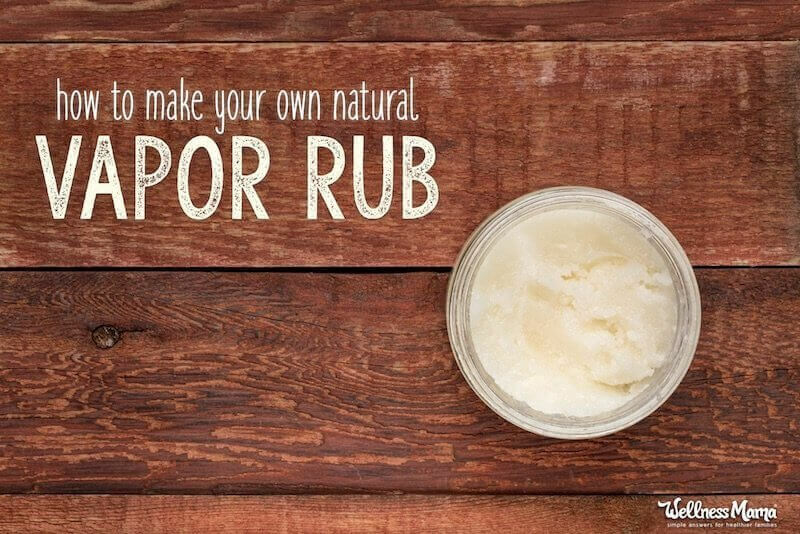 Ever made your own vapor rub? Share below!